When I first bought my Quilting Modern book, I saw the Supernova Quilt and knew I had to make it. And I knew that I would be using my stash of Washi to make it for my sister Kara. She has seemed a little down lately and her birthday is coming up, so I got to work. 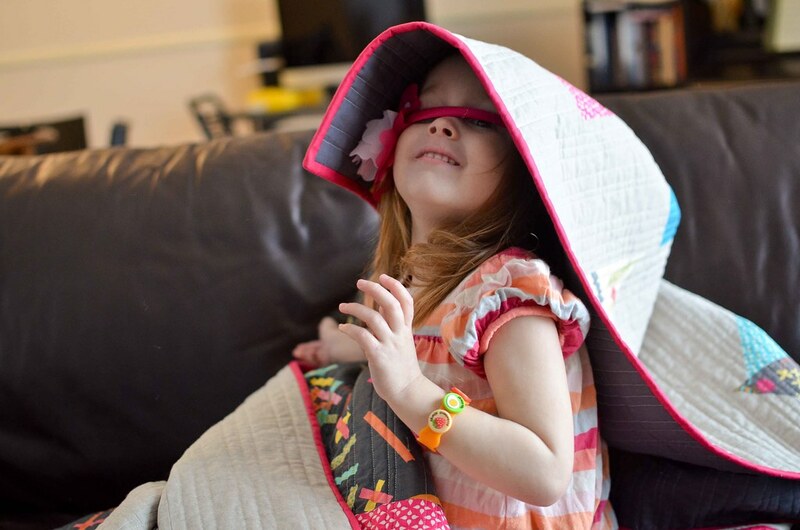 A few months ago I asked Kara what kind of quilt she would like and she said "black and white." Um, I didn't go that direction ;) so hopefully she still likes this. I LOVED making this quilt. 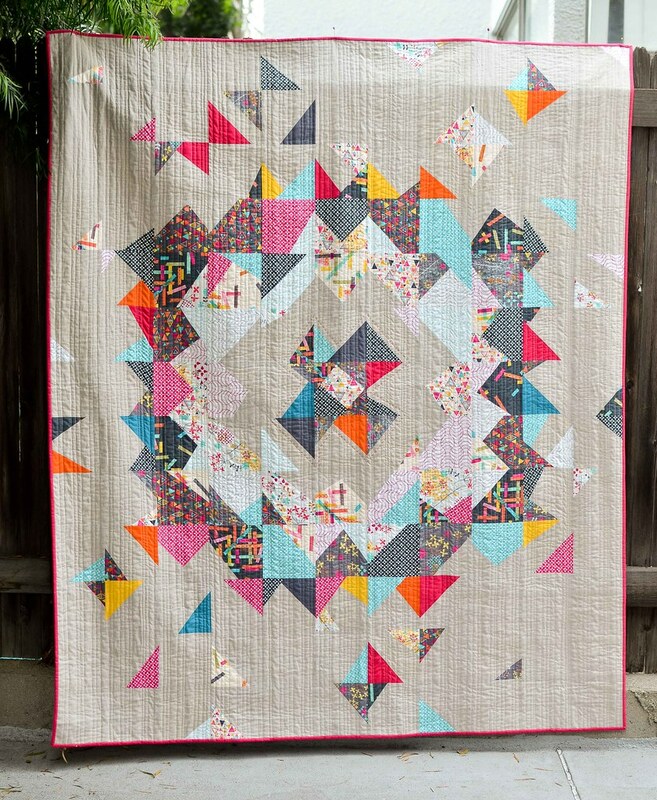 Washi is so gorgeous and I love it even more after making this quilt. I had a really hard time putting this in the mail to Denver. It almost didn't happen. For the back I used a couple of Washi prints with some solids. I added a little fussy cut piece of Echino because it reminded me of Kara and I thought she would like it. I quilted it with random straight lines. The essex linen has such a great texture with dense quilting. Lately I have been trying something new with each quilt I make, so this was the first time I used Aurifil thread (it was just as amazing as I was afraid it would be) and I tried hand quilting for the first time. I just did an outline of the center of the quilt with some orange perle cotton. I enjoyed doing it, but it was not very good for my carpal tunnel. 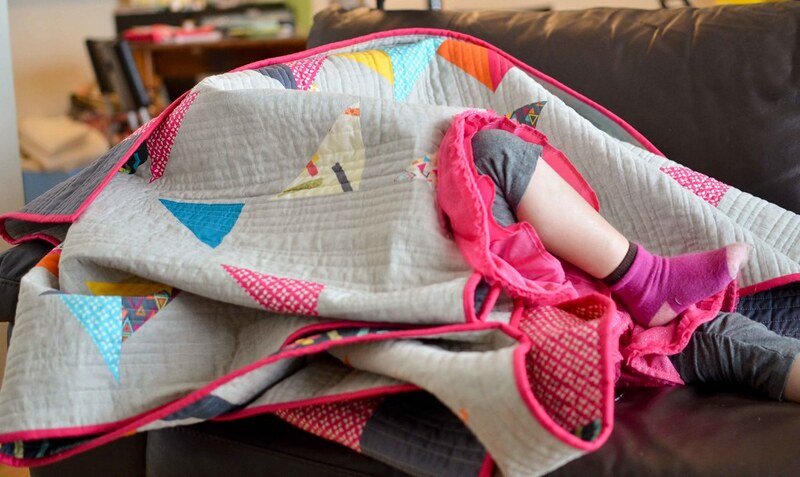 My daughter Harper had a hard time letting this quilt go too. 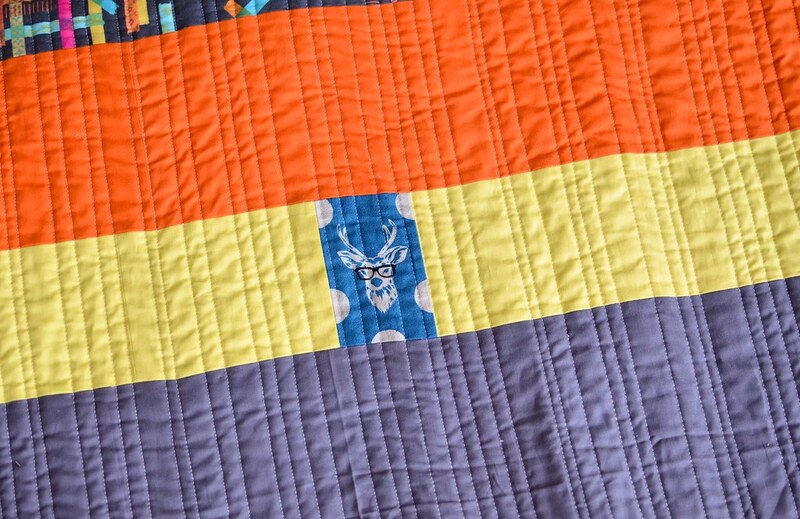 The quilt is scheduled to arrive today so I am hoping that Kara loves this quilt as much as I do! 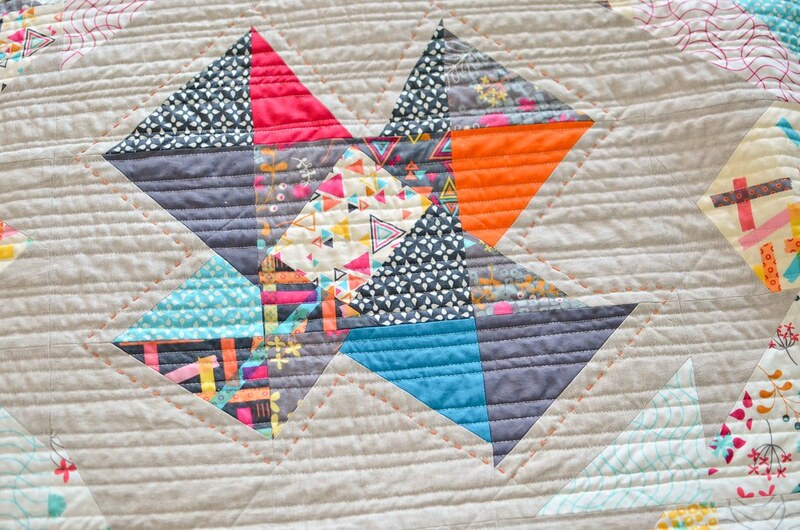 This is SUCH a striking quilt! 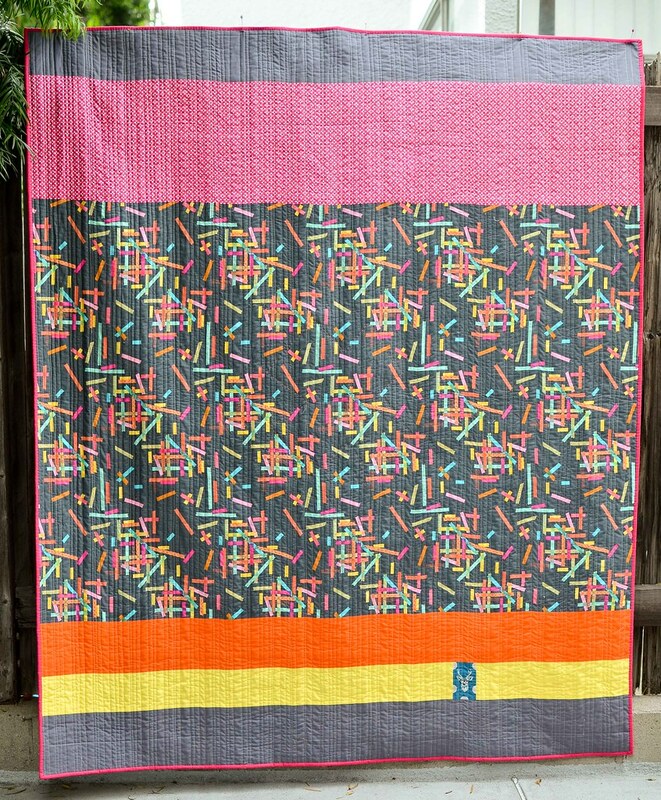 this quilt is fantastic!! the design of it, the colors, the back! WOW! wonderful gift for your sister! Incredible job! She'll absolutely love it. This an excellent use of Washi! I love the prints and have been hoarding a pile of it but haven't found the perfect use for them... yet. I love your quilting too! Eeekkk! Lovely in that fabric. I gave away the original to charity, so it's inspiring to see some new versions to stir the juices. It's beautiful and I love the fun fussy cut. Wow, what a gorgeous quilt! Lucky Kara. It's amazing. That quilt is definitely on my to-do list for this year. this is amazing. I'm in love.